Walking out of a gig with a mock-MAGA hat was not how I’d anticipated my year to begin. 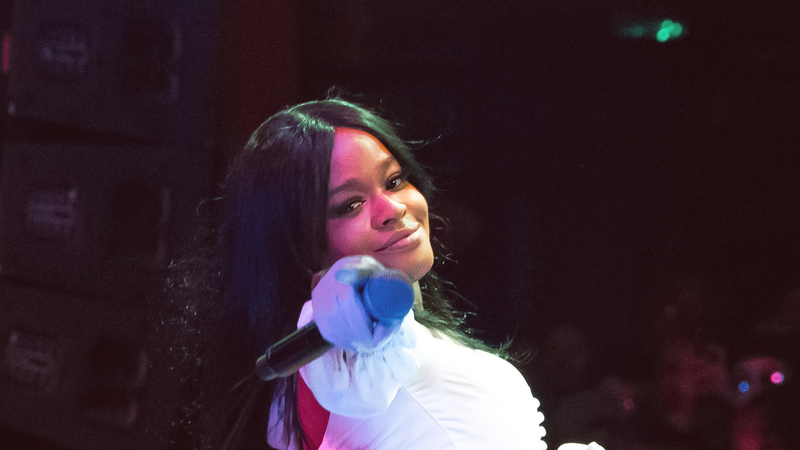 Azealia Banks took everyone in KOKO London by storm on the 25th of January, 2019. It was messy from start to finish, and everyone loved her for it. ‘Hey, hi, hello, what’s up?’ Luxury was a fantastic opener as a call-back to the beginning of her career, and the crowd responded raucously. Looking at her, you’d never have thought she was the topic of controversy a mere 24 hours ago. Yet, her dedicated fans love her regardless, and that night was a continuous stream of excitement and a controlled rowdiness. The venue was perfect — intimate enough to allow everyone feel as though they were part of something — and somehow, the sticky floors and tightness of it all added to her overwhelming stage presence. There was something so commanding about her, and tracks such as ‘Anna Wintour’ proved that only Azealia could have made an entire room yell along to a song about the editor of Vogue magazine. Azealia seamlessly and expertly transitioned from soulful vocals to hyper-aggressive bars, as showcased by her cover of ‘Lullaby of Birdland’ in the midst of her upbeat setlist. Furthermore, the night only served as a reminder as to how so much hype has been built up on the release of the ever elusive ‘Fantasea II’; an album that has been in the making for 6 years now. On the outside, her fans seem overly forgiving, but her persona makes up for it — each track she’d performed only served to generate more energy in the room. Closing with 212 was the perfect way to end the storm she’d created — and she’d definitely created a storm, as my friends and I became witnesses to a fight as we queued for her merch stand to buy the aforementioned mock-MAGA hat. I’d left the gig surrounded by people who chanted ‘Make Azealia Great Again’, and I, for one, agree.